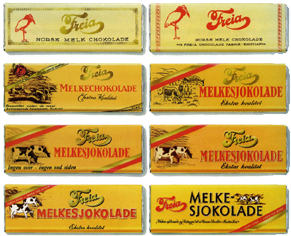 In 1906, the Norwegian Freia Chocolate Factory launched a product that would become a bestseller and a national trademark aligned with the Norwegian flag, Henrik Ibsen and cross-country skiing: Freia Melkechokolade (Freia Milk Chocolate). The company presented their new product as a “Cheerful chocolate that helps to preserve the mind’s joyfulness”. 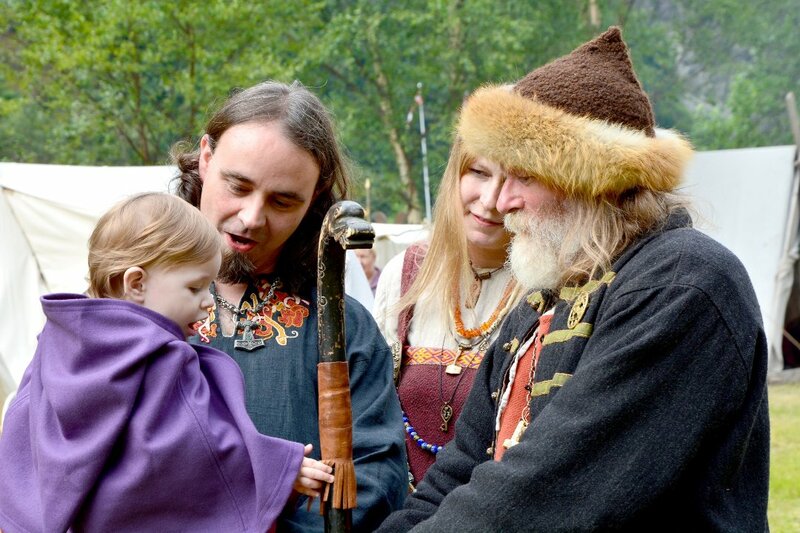 In 1916, the name was changed to Norsk Melke-chokolade to emphasize the Norwegian grammar. Four years later the chocolate was renamed Norsk Melk Chokolade – which was contrary to the contemporary spelling rules. The reason was probably that the spelling focused on milk as an important part of the Norwegian public health. Their very first slogan was “The Best Chocolate in Europe”. In 1926, Freia launched their classic paper wrap design with cows on summer pastures – which is still in use. 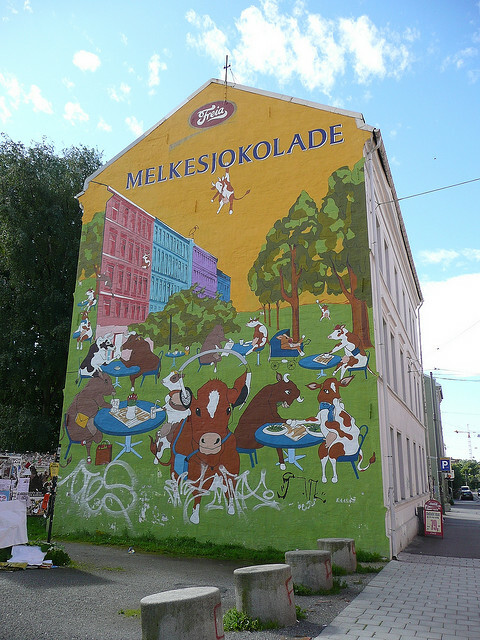 After the Second World War, the chocolate got its present name: Freia Melkesjokolade, which means we are back to the original name from 1906, but with a modern orthography. In the harsh 1930s, Freia Milk Chocolate was marketed as follows: “This top quality chocolate is made by Norwegian milk with Norwegian capital and Norwegian workers”. 1967: Kjøp en, da vel! – Come On, Buy One! 1975: Finnes det bedre sjokolade? – Is There a Better Chocolate?